The StorkcraftAspen Changing Table, with a classic sleigh design, comes with an oversized drawer to conveniently store your babys necessities. A water-resistant changing pad and safety strap is also included with the Storkcraft Aspen Changing Table. Not only is this piece gorgeous, but its versatile; as your baby grows it converts into the perfect storage piece for toys.This changing table is constructed of solid wood and wood products, and is offered in a variety of non toxic finishes. Sleigh design change table with oversized drawer. 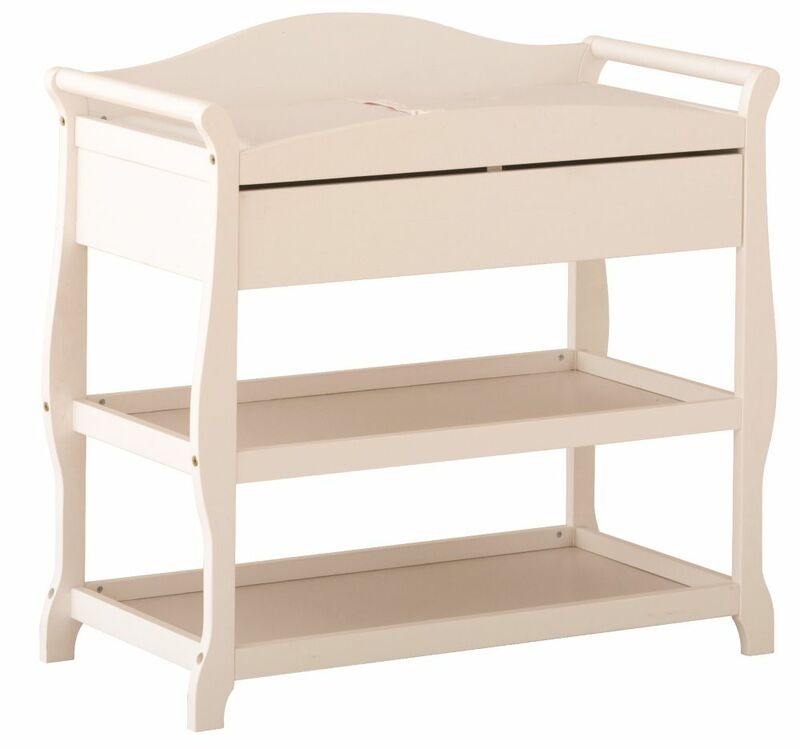 Aspen Changer - White The StorkcraftAspen Changing Table, with a classic sleigh design, comes with an oversized drawer to conveniently store your babys necessities. A water-resistant changing pad and safety strap is also included with the Storkcraft Aspen Changing Table. Not only is this piece gorgeous, but its versatile; as your baby grows it converts into the perfect storage piece for toys.This changing table is constructed of solid wood and wood products, and is offered in a variety of non toxic finishes.